SQB Series Square Bar Lever Harrow "A Generation Beyond the Wood Bar Harrow"
2” square High Carbon, heavy wall tube for superior leveling action. High Carbon double expanding bar for more strength. Pivoting draw hooks set up for even pulling and better leveling (keeps the front bar down). High Carbon hammer forged, diamond hard REPLACEABLE teeth pulverize and break up clods. 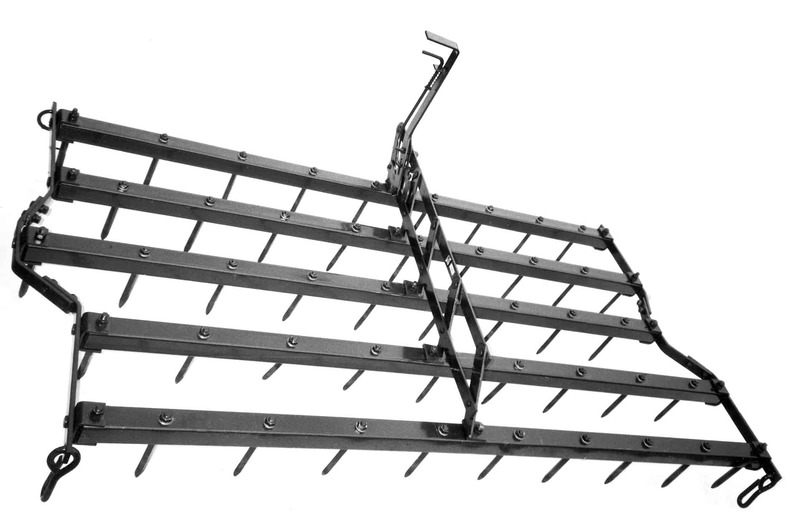 3/8” thick, High Carbon with unique off-set configuration to leave no ridges between harrow sections.